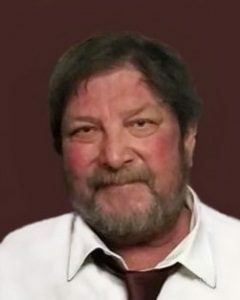 Gregory Markgraf, age 64, of Buffalo Lake, Minnesota, passed away Thursday, November 29, 2018, at Abbott Northwestern Hospital in Minneapolis. Funeral Service will be held Thursday, December 6, 2018, at 11:00 a.m. at Zion Evangelical Lutheran Church in Buffalo Lake. Interment will be held in Lake Preston Cemetery in Preston Lake Township, rural Stewart. Visitation will be held Wednesday, December 5, 2018, from 5:00 – 8:00 P.M. at the Hughes-Hantge Funeral Chapel in Hector. Visitation will continue on Thursday at Zion Evangelical Lutheran Church in Buffalo Lake at 10:00 a.m., for one hour prior to the service. Renville cty, Preston Lake Twp, Section 23. 81472 560th St.
Gregory David Markgraf was born October 30, 1954, in Glencoe, Minnesota, the son of David and Gladys (Winterfeldt) Markgraf. He was baptized on December 19, 1954 at Grace Lutheran Church in Brownton by Rev. Victor Schmidt, and confirmed in his faith on April 7, 1968 at Zion Evangelical Lutheran Church in Buffalo Lake. Greg grew up on the family farm in Preston Lake Township and received his education in Buffalo Lake. He graduated with the Class of 1972 from the Buffalo Lake High School. Greg was united in marriage to Bernadette Kalenberg on November 22, 1975 in Stewart. They resided in the countryside of Buffalo Lake. Their marriage ended in December of 1987. On July 2, 1992, Greg was united in marriage to Tammy Johnson at Zion Evangelical Lutheran Church in Buffalo Lake. They made their home on a farm in Preston Lake Township. Greg farmed, and also worked for Uni-Hydro in Cosmos. Greg was currently a rural mail carrier for the United States Postal Service, and worked out of the Hector office. Greg was a good mechanic. He had a kind heart and would drop everything to help his kids, family, neighbors, or friends. He enjoyed deer hunting. Early Thursday morning, November 29, 2018, Greg passed away at Abbott Northwestern Hospital in Minneapolis. He had reached the age of 64 years. Blessed be his memory. Greg was preceded in death by his Dad, David Markgraf, Brother Steven Uecker, Uncles: Willie, John, Alex, and Carl Markgraf, and by his Cousin, Jim Markgraf. I always knew Greg to be a kind person, willing to help out if he could. I am so sorry to hear of his passing. I always enjoyed visiting with him whenever I saw him and Tammy in town. He will be missed by many people. God bless the family in this time of sorrow. My sincere sympathy to all of you at this time of loss . As a cousin of Greg we always had so much fun at all the birthday and anniversary parties that were celebrated as we grew up in the Buffalo Lake / Stewart / Hector areas . Our huge relation was always together for holidays also , and we all hold a lot of dear memories of these fun times . Us cousins always played together , worked on the farms together and truly enjoyed being part of our great relation . As we all are getting older , we are slowly losing some of our family members , so we need to hold on to these memories . May you all feel the peace and comfort that only God can give us at this difficult time . Thoughts and prayers to all of you . My sincere sympathy to all of you at this time of loss . May you find the peace and comfort that only God can give you . As a cousin of Greg’s I have a lot of great memories of growing up together , celebrating birthdays and anniversaries , holidays , and always being there for one another . We played together , worked on our farms together , and always took the time to gather for fun . our deepest sympathy goes out to all of you as you grieve Greg’s passing. So sorry Tammy and family. What I saw in Greg was a kind and good family man. Loved his wife kids and grandkids very much.